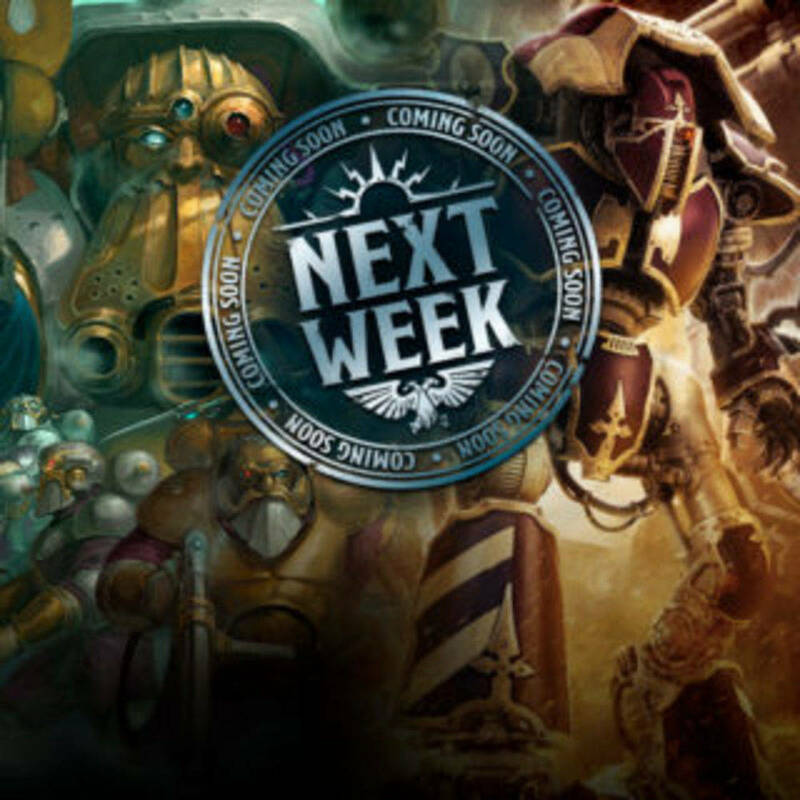 - The next weeks and months will see the release of the Custodes, Thousand Sons and Space Wolves stuff. 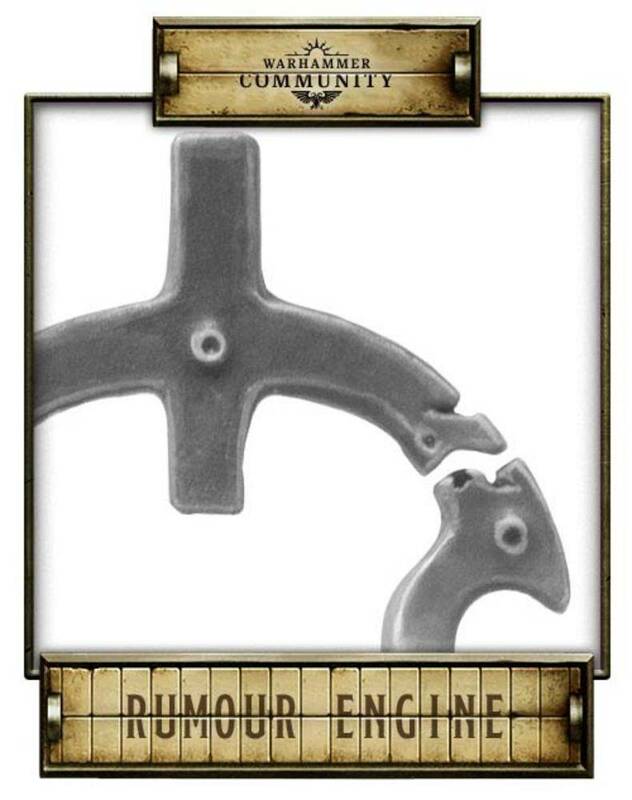 They are currently working on a Grey Slayer kit, and we may get conversion parts for the Æther-flame cannons. - Regarding upgrade sets and missing legion units - they are working on it. Plan is to get everything done. - Magnus is finished and should be released at Warhammer Fest in May. After that we may see Sanguinius, if we are lucky around christmas. Simon also wants to do Dorn before the Lion. - As it seems that the current three versions of Alpharius aren't enough - of course they will do Alpharius with his spear and armour down the line too. - They can't talk about the Thunderhawk. They even asked not to ask about it. - We didn't got Wulfen as an unit because at the time of Prospero, there weren't really that many of them. It was the burning that acted as catalyst for them, basically the sacrifice they had to give for what they did. The warp changed space and time there, hence the curse was revealed (on a broad scale). We may get Wulfen down the line for Yarant, but not yet. - Russ rules represent him on his heigh of power. To give you a comparison - Angron is meant to be very weak thanks to the butcher nails at the time of Betrayal, while Horus' rules represent him at the outbreak of the heresy, so he isn't fully powered up with chaos juice yet. As the heresy continues, we will get more Primarch rules and probably more models down the line. - They also want to show more chaos influance on (parts of) the traitor legions with the next books. Example would be the Emperors Children with more noise and slaaneshy stuff. - Regarding plastic heresy: "Be happy with what we have and get, and don't expect a flood of plastic heresy stuff for everything." They will also try to do more conversion kits to go with the plastic basic kits. - Vyronii and Malinax transfers are done and send to the printers. We may see some Blood Bowl transfers down the line, but nothing is set in stone yet. - The design work for the initial titans is done, but they haven't decided on the production yet. Maybe plastic, maybe resin. But they know how they will look and the scale. You could take pictures of an 8mm warlord and a 28mm scale one, and wouldn't notice a difference. - This is meant to be a specialist game - like the heresy, it will probably be expensive. That said, you only need around 5 titans per side for a normal sized game, with smaller games having only one titan (and these are still quite fun and tactical). - The basic rule book will have fluff for Legio Mortis, Legio Tempestus and 1-2 other ones, aswell as Knights. Also scenarios for big events, like the Battle for the Magna City or Molech. - Plan is to do "black book style" campaign books after that, with the titans' death as the first. 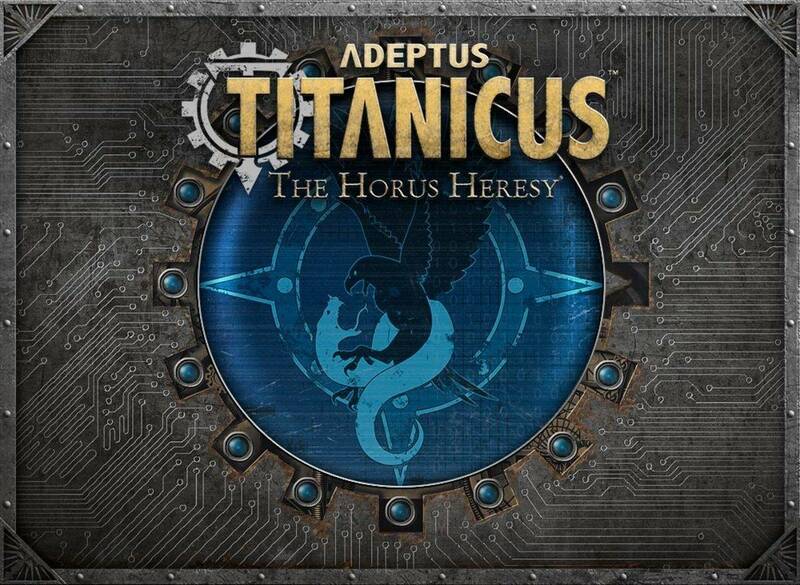 - The different Titan Legions will get specific traits. Tempestus can deep strike, Astorum may also get the "lucius teleportation stuff". - Plan is to explore all the different titans that exist in the fluff. Stuff like Nightgaunts or Nemesis titans will be it's own unique class, not weapon variants of the Warlord. These may also be done in 28mm scale if they sell well. - The Ordo Sinister Psi-Warlords are controlled by a psychic null, and they use psychers as batteries! They want to do a new head piece aswell as a new weapon for it. - Table size will be 4x4, with 4x6 for the big battles like Molech. 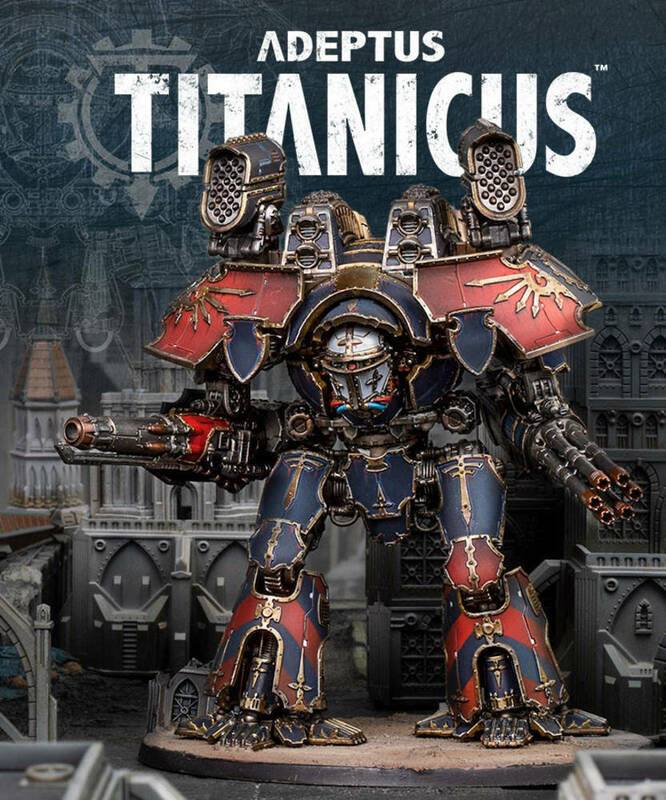 - Probably no Imperator Titan, atleast at the start. They were quite rare, even in 30k, and the scale would make them quite big, even with 8 mm. 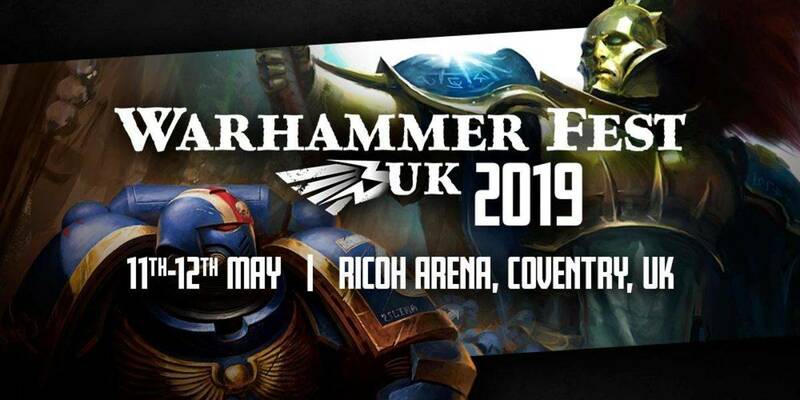 - The next two years are quite busy for GW and FW, so no ETA for the release slot. - The book is an homage to the old Angels of Death Codex. It contains Dark Angels, Blood Angels against Night Lords, Dark Mechanicum and Daemons. - Signus Prime, Thramas Crusade aswell as some yet unexplored stuff like the Siege of Baal. - No rules for Luther in this book. He only really did stuff during the Great Scouring. - Regarding daemons - we will see new units and special characters. The basic list is the same (so you will probably still need the Codex). A daemon is a daemon in 30k/40k/AoS/2017. They are timeless. - This is still early dark mechanicum - no full blown daemon engines yet. They will also use xenos and forbidden tech. - We will see more Agents of the Emperor and the Warmaster in the future, but space is quite limited so they have to choose what to do first. Same goes for the Skitarii Legions. - We will probably see 15-20 Black Books for the Heresy. As long as it sells, they won't stop. - We will get a red book for the Talons of the Emperor down the line. Plan is to release all units from the current list, and more.